Massive offshore wind turbines keep getting bigger, and that’s helping make the power cheaper — to the point where developers say new projects in U.S. waters can compete with natural gas. The price “is going to be a real eye-opener,” said Bryan Martin, chairman of Deepwater Wind LLC, which won an auction in May to build a 400-megawatt wind farm southeast of Rhode Island. 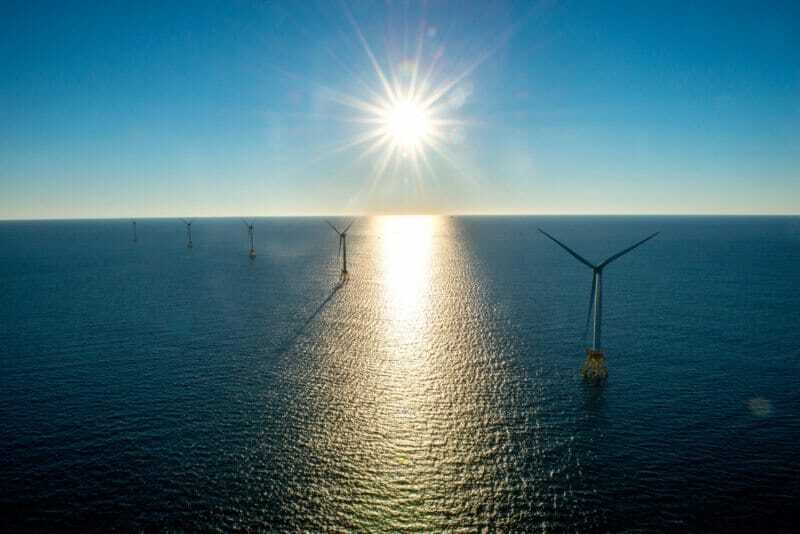 Deepwater built the only U.S. offshore wind farm, a 30-megawatt project that was completed south of Block Island in 2016. The company’s bid was selected by Rhode Island the same day that Massachusetts picked Vineyard Wind to build an 800-megawatt wind farm in the same area. Bigger turbines that make more electricity have cut the cost per megawatt by about half, said Tom Harries, a wind analyst at Bloomberg New Energy Finance. That also reduces maintenance expenses and installation time. All of this is helping offshore wind vie with conventional power plants. The Massachusetts project could be about $100 to $120 a megawatt hour, according to a February estimate from Harries. The actual prices there and in Rhode Island weren’t disclosed. For comparison, a new U.S. combine-cycle gas turbine ranges from $40 to $60 a megawatt-hour, and a new coal plant is $67 to $113, according to BNEF data. A new power plant in land-constrained New England would probably be higher than that. More importantly, gas plants get a significant portion of their revenue from being able to guarantee that power is always available, something wind farms can’t do, said William Nelson, a New York-based analyst with BNEF. Looking only at the price at which offshore turbines can deliver electricity is a “narrow mindset,” he said. Is The Global Energy Transition On Track?